Sa Pa is approximately 380km northwest of Hanoi, an hour away from the China-Vietnam border of Lào Cai. Sa Pa houses the highest mountain in Vietnam, the Fan Si Pan mountain at a staggering height of 3143m. The mountainside was originally inhabited by ethnic minority groups such as the Black Hmong, Dao and Tay. 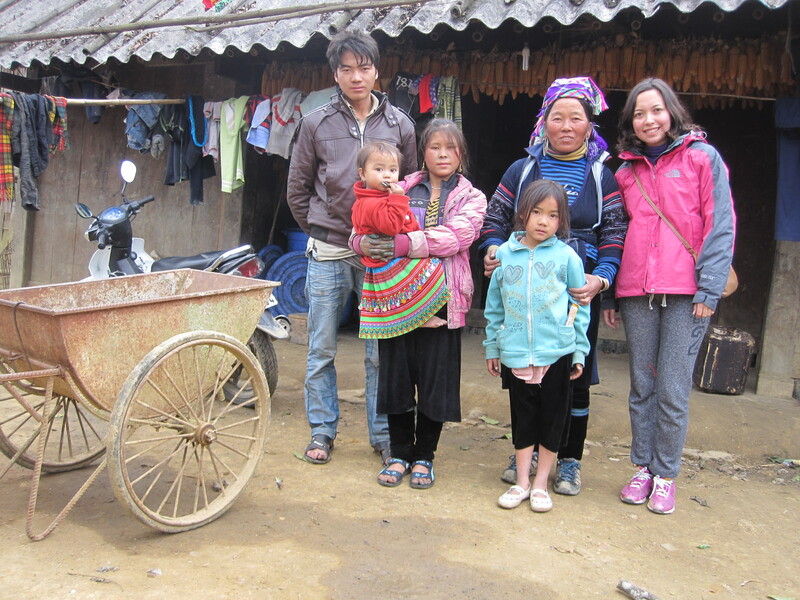 The year 1993 marks a lifechanging year for the aboriginal minority groups, as Sapa was finally opened to international tourism. 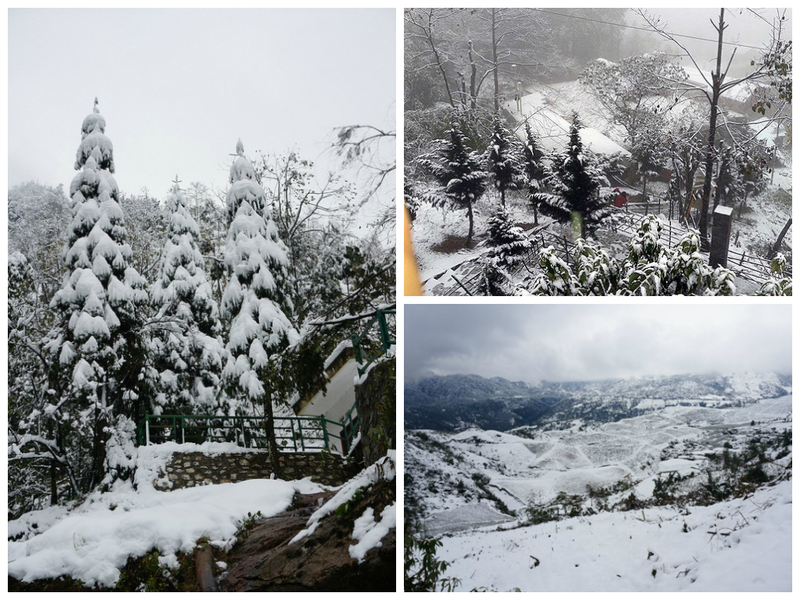 Three days prior to my journey, the world was jolted with news that snow has fallen on Sa Pa. A whirlwind of tourists flocked the town to catch a glimpse of this rare event. A tropical country snowing, even the thought of it is ridiculous! 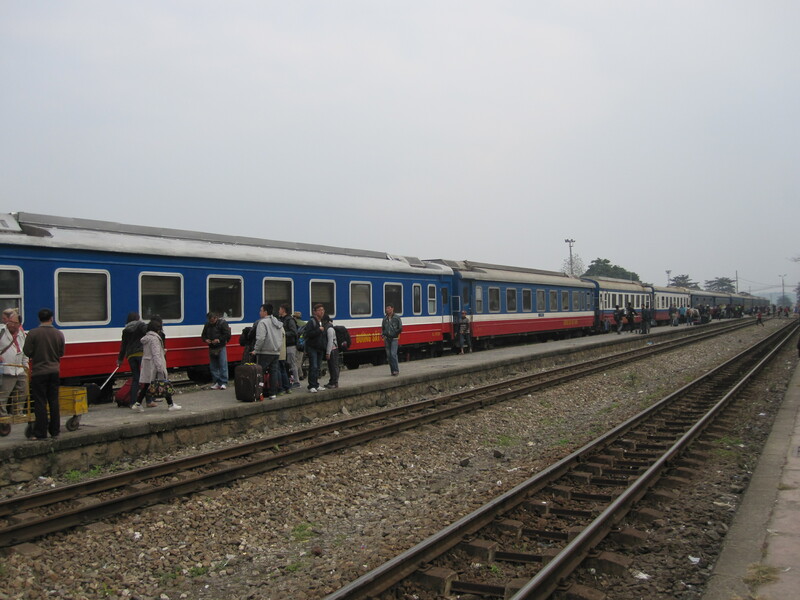 I embarked on a ten hour train ride to Sapa departing at 9pm from Hanoi Railway Station. 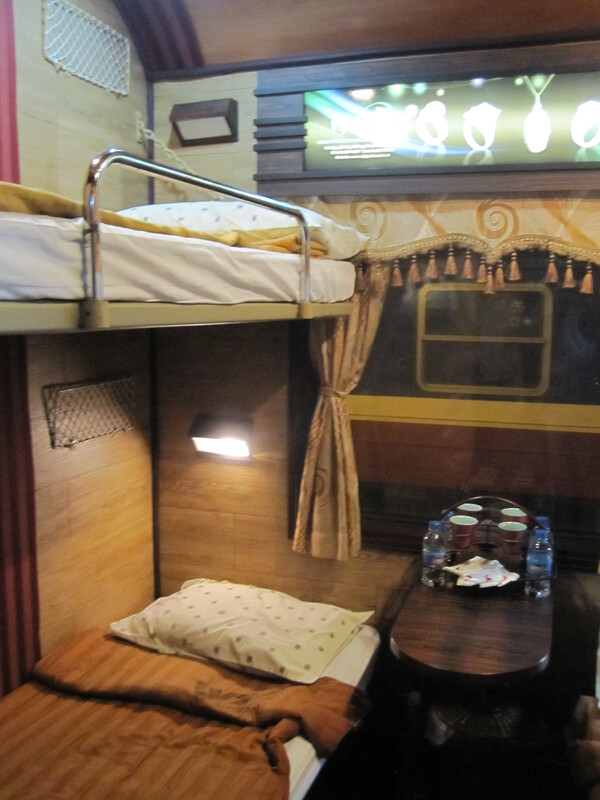 The choice of a sleeper train (four bed soft berth) via Livitran Express costs USD49 per person, a hefty price for anything in Vietnam. However, it was indeed worth every penny as our train got delayed for 12 hours, rendering the total travel time of a treacherous 22 hours. 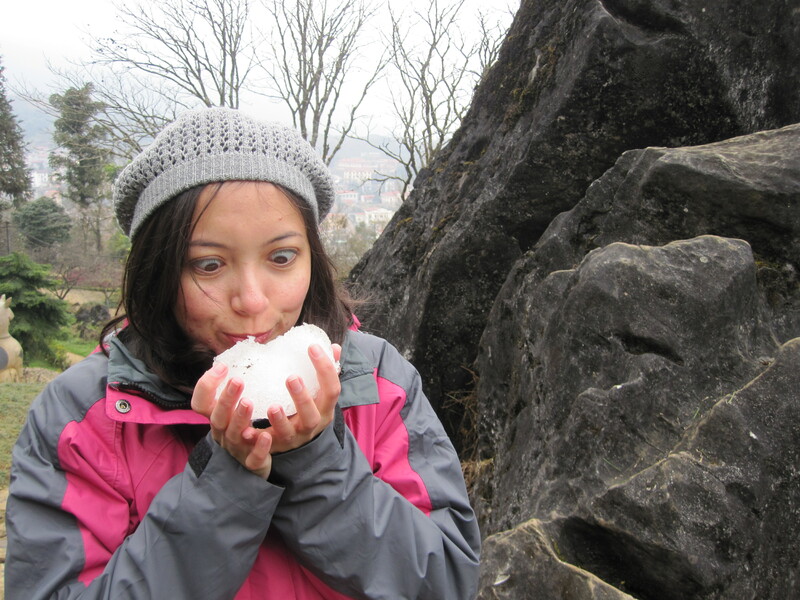 The first mission upon arriving Sa Pa was to find snow. Ham Rong mountain was the most accessible of all mountains as paved treks have been built to house the influx of tourists. Towering over Sa Pa town, it does not only offer a fantastic view but also enlightens visitors with the old Vietnamese folklore in The Garden of Twelve Earthly Branches. I did eventually find snow, measley remnants remained accessible whereas the rest lay atop Fan Si Pan mountain peak, far from tourist’s reach. South East Asia is snowing? No way! Sa Pa’s ethnic minority groups can often be found scattering the streets adorning their colourful traditional costumes. A lady from the Black Hmong tribe approached us and introduced herself as “Flower”. Like the rest, she was attempting to sell me some handicraft. However unlike most villagers, her command in English was outstanding, even better than the Vietnamese in Hanoi city! 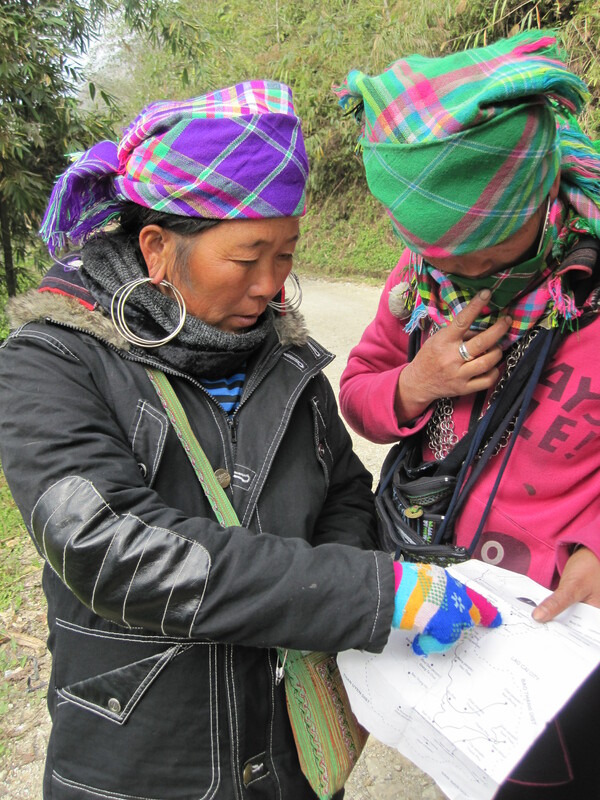 Astonished, we asked whether she could take us on an expedition to her village instead. Sa Pa’s economy formerly comprises of small scale agricultural activities. Since the overture to tourism, most locals made the shift from agriculture to the tourism industry. However, the traces of agriculture are still apparent, notably the terraced mountains that spruce up predictable mountainside landscape. 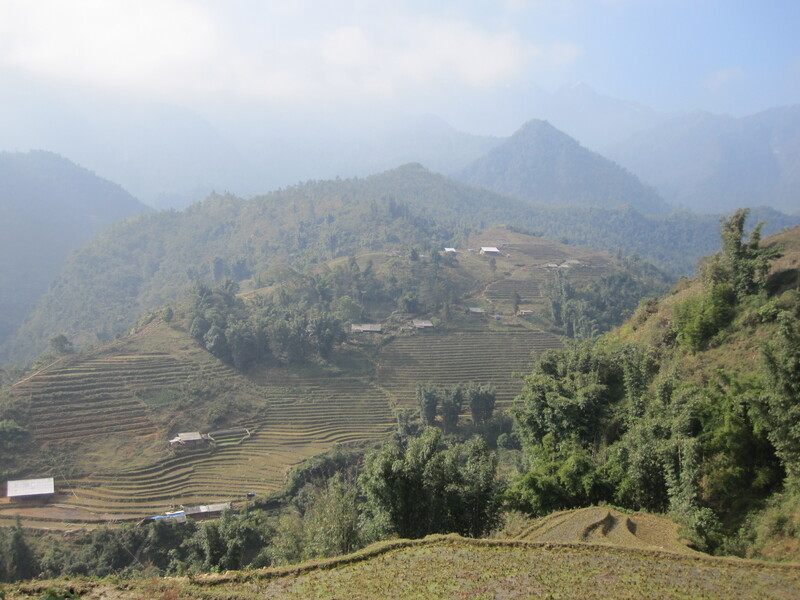 In my opinion, the scenic value of Sa Pa is greatly enhanced with its previous agricultural practices as it creates a distinctive identity for Sa Pa in the eyes of global tourism . The beauty of Sa Pa cannot be justified by mere words or pictures. Even as I attempt to, I can only conclude that it is a scene to behold with your own eyes and it will be retained in your memory forever.